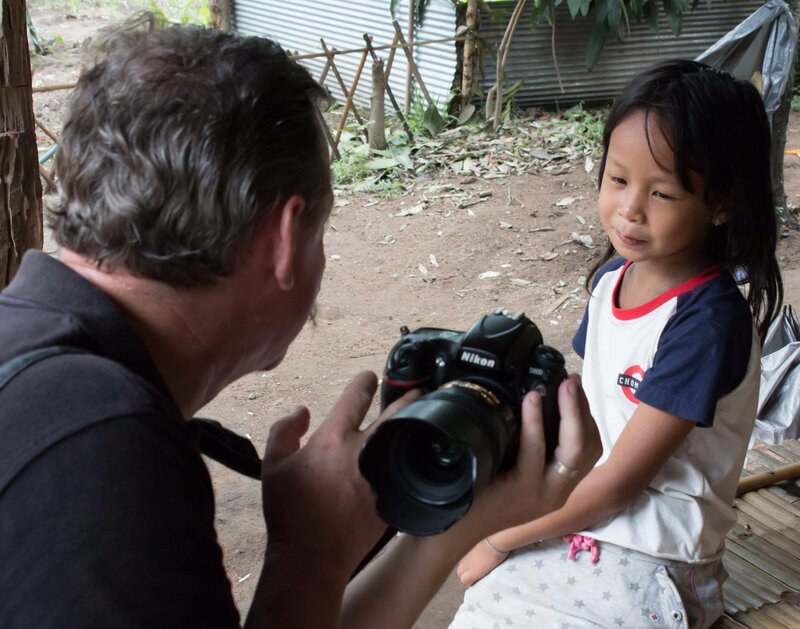 My experience of meeting a little girl, from a very different culture, is a marvelous example of how relationship with your subject will affect your photography. Knowing a person, and having them trust you, will enable you to take more intimate and meaningful portraits. Grabbing candid photos with a long lens, which many people do, especially when they travel, often results in cold, distant feeling pictures. I hope this article will encourage you to learn to build relationship, even if it’s for just a few moments, and start making more meaningful portraits. You may also be surprised how much doing this will enhance your travel experiences and provides you with many wonderful photographs and stories to tell. Malu was by her mother’s side the first time we met her. We often saw her there. 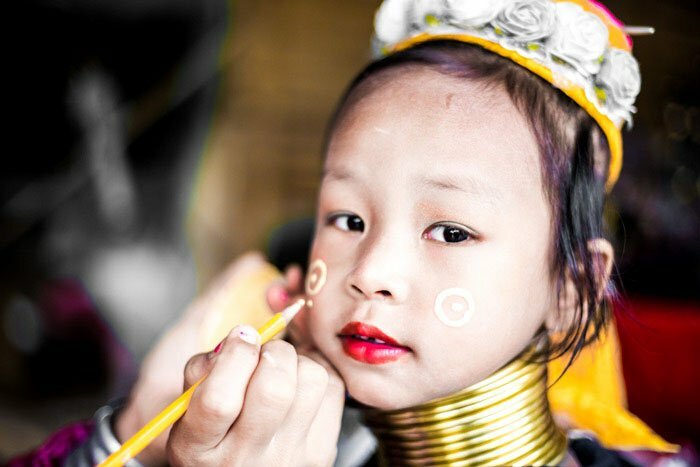 Malu lives with her parents and her little sister in Baan Thong Luang in Chiang Mai, Thailand. 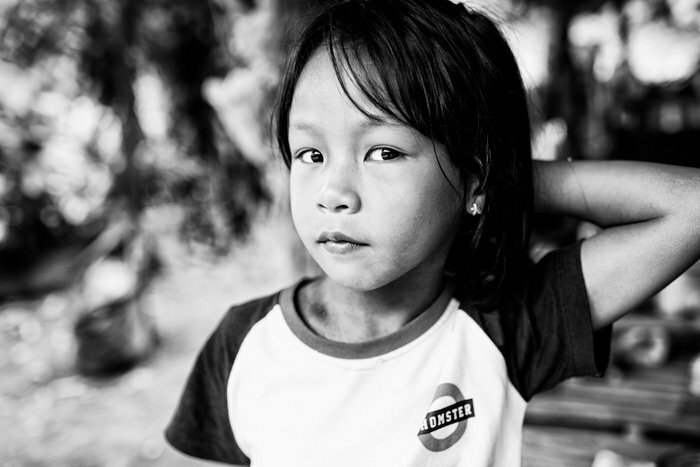 Her older brother attends a school in Mae Hong Song, up in the north near the Myanmar border. 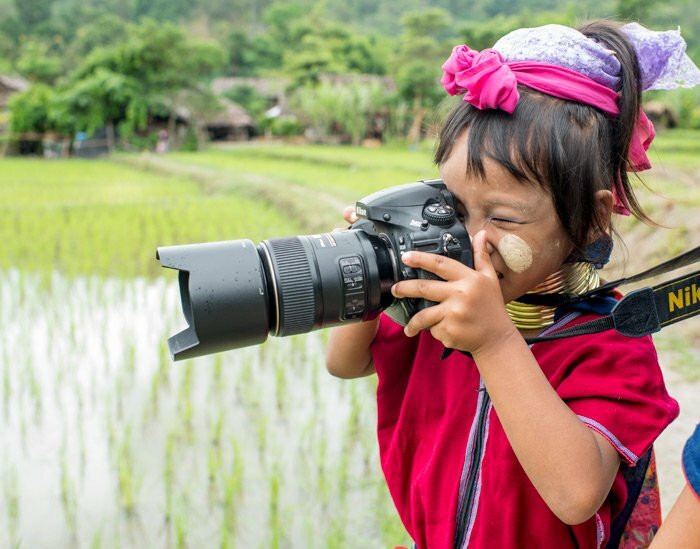 During our first visit to this village Malu befriended us and quickly discovered that our cameras were fun. 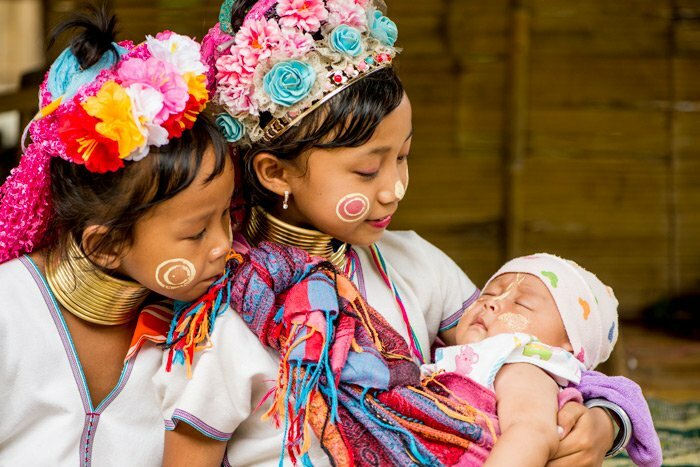 Malu’s family are Kayan people, speaking their own language and with their own culture and tradition. 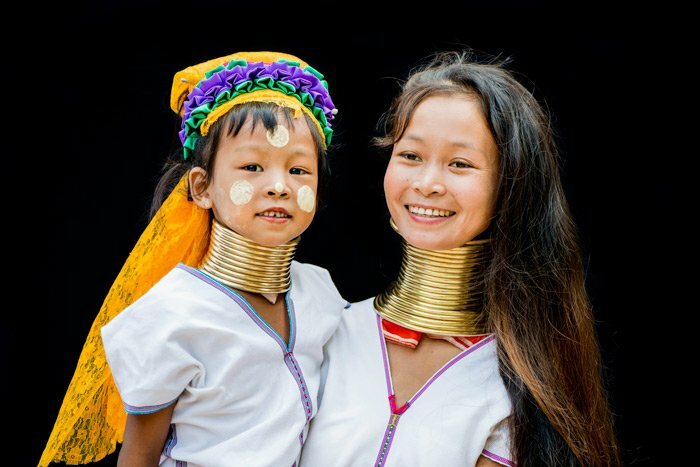 They are also known as the ‘Long Neck Tribe’. Originally from Myanmar they make their home in Thailand to work and because they have access to better health care and education than they have in their ancestral village. We were recently in Myanmar and met Malu’s grandfather at their family home, but that’s a whole other story. Malu is six years old, but she doesn’t like being six, so she tells people she’s seven. She’s a spirited, bright, intelligent little girl who loves life. Malu is everybody’s friend in the village and when she’s not close to her mum, she’s off visiting and playing with the other girls in the village. She’s learning to weave. When Malu is sitting with her loom she does not like to be interrupted, she is totally focused. I have not often met six-year-old children with the ability or desire to concentrate on learning, unless they had a smartphone in their hands or were sitting in front of a computer game. We’ve enjoyed teaching Malu a little photography. Our cameras are rather too large and cumbersome for her small hands, so we started taking along a smaller camera for her to use, which she was delighted with. The first place she chose to go to photograph with this camera was to the church. A number of the families in the village are Christian and there’s a small church at the top of the hill. We gave her instruction on how to use the camera and how to compose her pictures. It’s a wonderful experience to teach a child who loves to learn. For a number of months we’d not been up to the village and, as we arrived one day with customers on a photo workshop, Malu’s mother greeted us with the news that Malu had been asking after us and wondering why she had not seen us for so long. We’d bought with us some snacks, readers, pens and pencils and some make-up for the kids. The girls love to do their makeup, a mix of traditional and western styles. 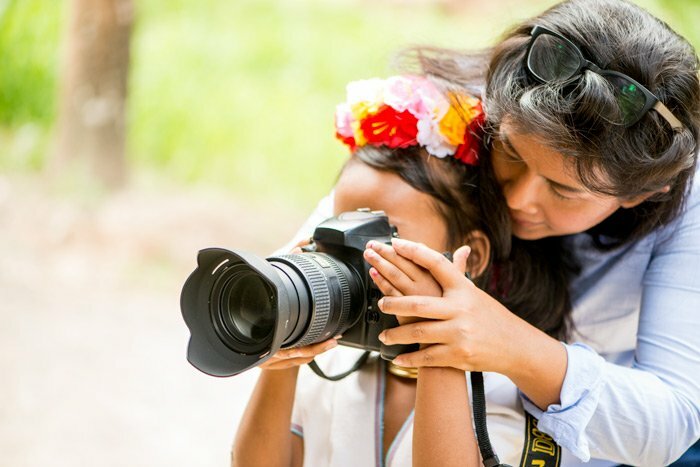 During the next few months we had quite a number of workshops that took us to the village, so we enjoyed time teaching photography there and building our relationships with the villagers. One day as I walked up the hill towards Malu’s home, I noticed something different. Pansa was already sitting there chatting with Malu’s mother and as I got closer I saw Malu from behind. She was wearing jeans and a tee shirt and her hair was down. I’d never seen her like this before as she is always wearing her traditional Kayan clothing and has her hair up in a scarf. As she turned around to greet me I saw that she no longer had the rings around her neck. 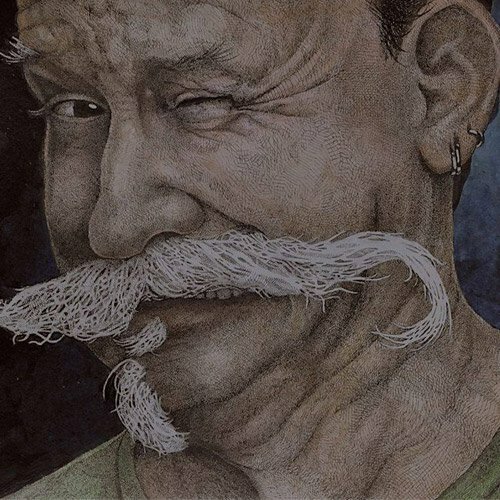 Her smile was somewhat subdued, so I joked with her a little, pretending for a second or two that I did not recognize her. We chatted a little and as I squatted down next to her I asked if I could take her photo today. Normally I wouldn’t ask. She has become so accustomed to being photographed and really enjoys it, but the feeling outside their home on this morning was not normal. She nodded a yes and I shot a few frames. I was using my Nikon D800 with my 35mm f1.4 lens, so to make her portrait I was fairly close to her. I know this girl loves to see her picture, so I flipped the camera around to show her the images on the monitor. As she looked at them I realized she had not seen herself without the neck rings on. The story was unfolding. Her father had only just taken them off half an hour earlier. A couple of weeks later our customer posted the photo she had shot at this moment on Facebook, I had not known she’d captured the moment, so it was special to see it. As Malu viewed the photos, she reached behind her head with one hand to pull back her hair. She was showing me her neck. This was my photo. Having some relationship with your subject affords opportunity at times that is just not possible otherwise. Malu trusts us, she likes the photos we make of her and her family. To teach how to achieve this kind of intimate photo is one of the most challenging aspects we face as we run our workshops. I find teaching composition similarly difficult as both these aspects of our craft are best expressed through your own intuition. Sure, you can study the rules of composition and work hard to relate to your subjects as best you can, but at the right moment, when your connection with your subject has vitality and meaning, you must have an intuitive sense of how to compose the image and the decisive moment to make it. If you can connect strongly with your subjects and illustrate this in your photos, others will see that connection when they view your images and be drawn to what you have created. 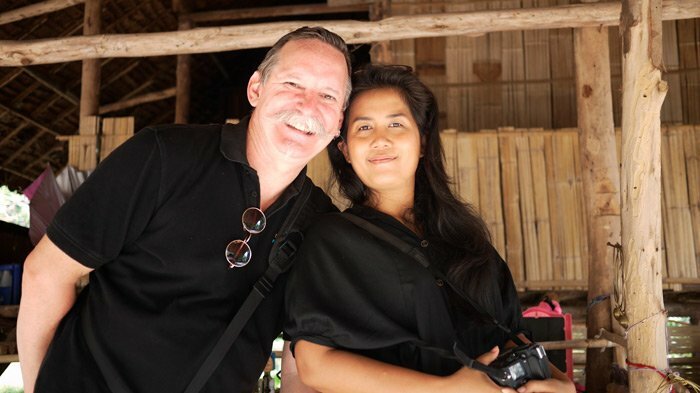 Connecting strongly with your subjects does not necessarily take a long time, occasionally it can happen in an instant, but I am cherishing building relationships and photographing many of the same people during our photo workshops here in Chiang Mai. 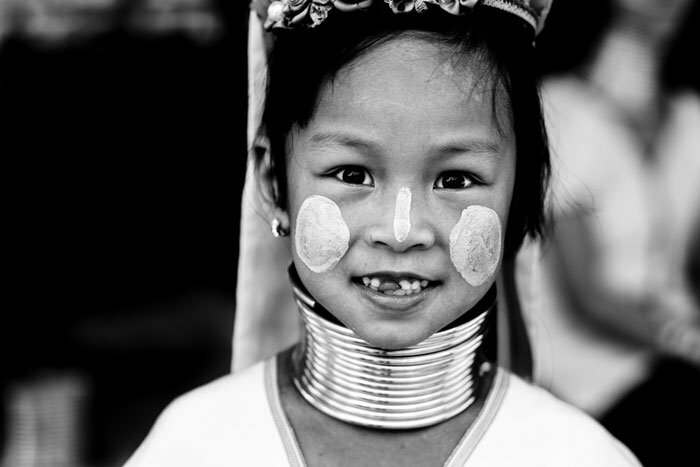 Malu’s neck rings were removed because she was going to join her brother in school … in Mae Hong Song. This is around six hours drive from her mum and dad and sister. The lack of normal, cheerful feeling that surrounds this family was becoming more evident the more the story unfolded. All the while dad is cuddling the younger daughter in the hammock and trying to comfort her as she screamed and cried. She had just fallen over and bumped her head. Malu’s mother was barely holding it together, as were Pansa and I! So we didn’t linger too long, gave them a small donation towards Malu’s education and continued on with our customer. I’d often wondered what opportunities Malu would find in her life. There didn’t seem to be too much this little girl had before her, other than staying in the village and living a simple life. She is always hungry to learn. She is quick, witty and intelligent and I am sure she is making the most of her time in school. We are hoping to see her again when she returns to the village during school holidays and looking forward to the stories we are sure she will have to share with us. Take your time to learn more. Our Chiang Mai Photo Workshops are a great way to see some of the more interesting out of the way places. Learn to photograph them and also be ready and knowledgeable to photograph the real character of all the people you meet and places you travel. Malu's portrait of Pansa and me.